Now, I know the coming tour is being organised one leg at a time and we here in Australia and New Zealand need to have the patience of Job (or perhaps Finns) But while we are waiting I thought the following photos would be a gentle reminder to the tour organisers that so many people down under want Leonard to come back again.....please! 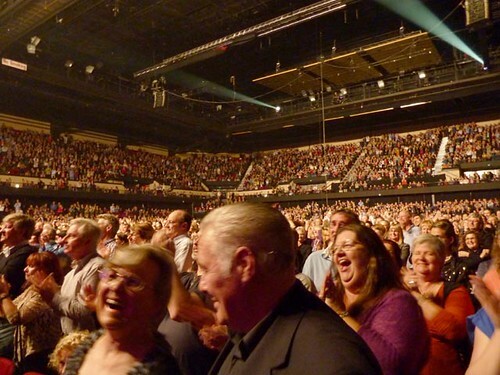 Just look at all these venues filled to capacity! Looking again at these concerts through Leonard’s eyes gives us a unique perspective on what he sees of us instead of what we see of him. Also they are a pleasant reminder of what was and could hopefully be again. Of course nothing in life is certain and we will wait to see what the universe decrees. But for now, Leonard just know that our arms are indeed open very wide! Re: Australia & NZ - Our Arms Are Open W-I-D-E!! We are singing from the same page of the Cohenite song book. 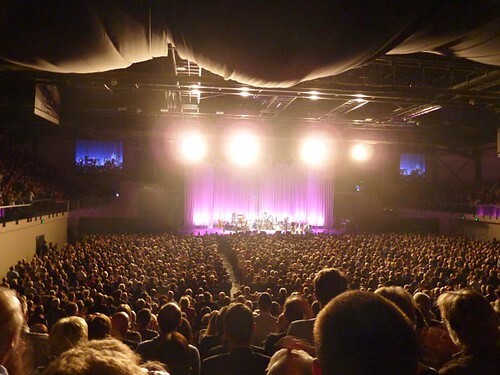 Now that Madonna and Glen Campbell have announced that for various reasons they will not tour Australia and New Zealand, there must be some free dates at concert venues for AEG, Leonard Cohen and UHTC to exploit for the Old Ideas tour. 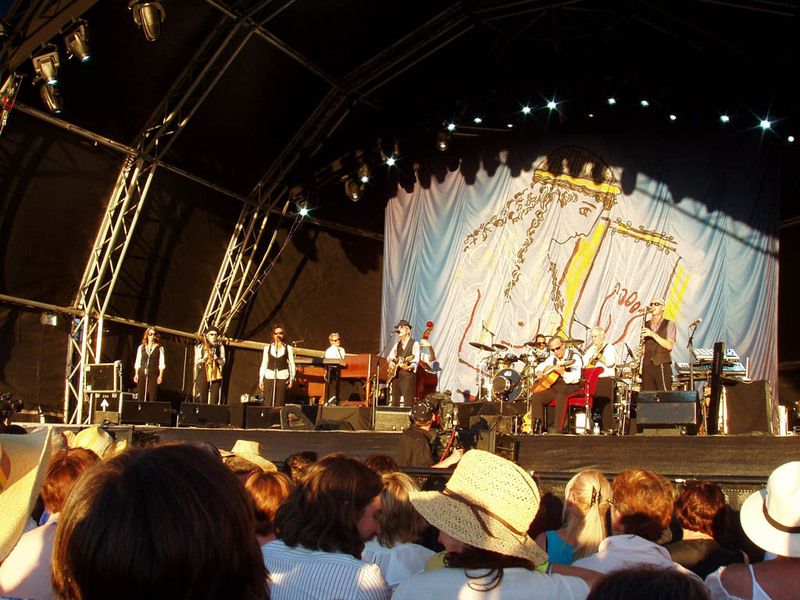 Don't forget the Leconfield concert - Australia Day, January 26th, 2009. I even gave up the opportunity to go to a cricket match to go to that concert! (Anyway Australia lost, so I was at the better place in more ways than one). I didn't forget the Leconfield concert but I couldn't find an audience photo. The same applies for Swan Valley, Sandalford Wines 2009 as well. I searched high and low for audience photos for both of them and couldn't find any so if you find some please add to the collection. Shame the Aussies lost the cricket but you did indeed make the right choice! and EDIT again: Thanks Alan - that's better than I found! Last edited by B4real on Thu Jul 19, 2012 1:37 pm, edited 2 times in total. This is the only audience photo I have. It was taken between Augie March and Paul Kelly. i.e. just under 2 hours before LC took the stage. The photo was taken with my back on the security fence. When I checked at interval the open space was occupied all the way back to that fence and down both sides too. Last edited by AlanM on Fri Jul 20, 2012 3:11 am, edited 1 time in total. 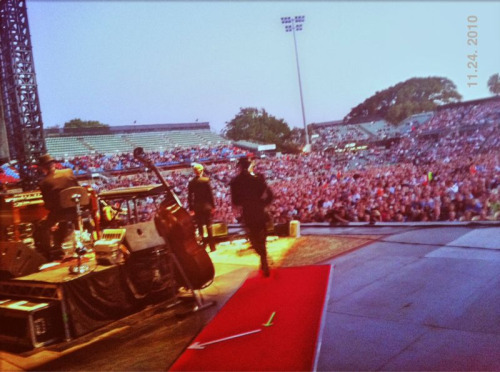 I never thought that Hanging Rock concert took place in such an unforgettable surroundings (although I knew what Hanging Rock is). 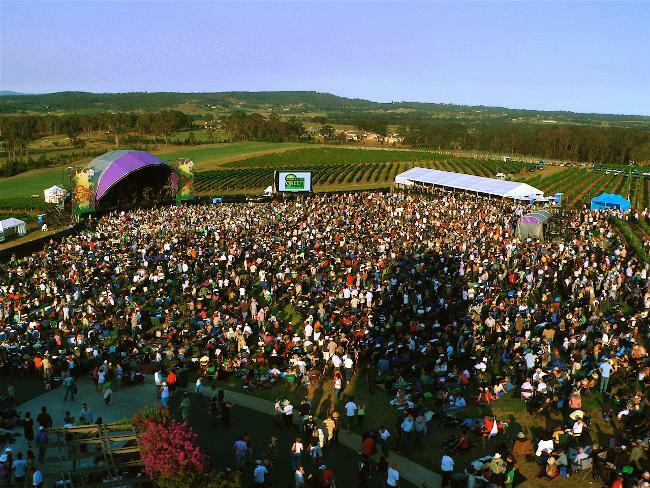 The 2009 Valleys/Wineyards pictures are just incredible too. 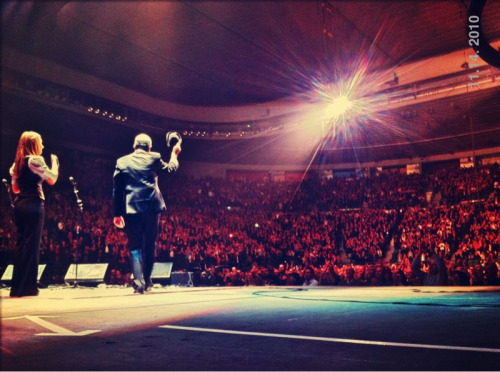 Lucky Aussies, I do hope you'll welcome Leonard Cohen again in your beautiful country. My pleasure to show you and the world an LC part of my country. It is a land of many different and interesting places and faces! Let's hope we do get to go to similar concerts again! B4real wrote: Let's hope we do get to go to similar concerts again! I don't think there can be any real doubt of that Bev. It must just be a case of "when" rather than "if". 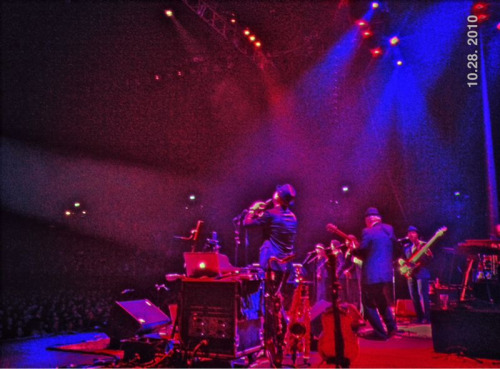 AlanM wrote: This is the only audience photo I have. Here's the best "audience" shot I took at Leconfield ... I was pretty close to the front, so it really only shows a couple of rows of what was a massive audience. It also gives some hint of exactly how HOT it was that way (which is a nice reminder given the dismal weather in Adelaide right now ). For some reason the organisers built the stage so that LC and the band were looking straight into the baking afternoon sun; hence the plentiful sunglasses and the sheen of sweat everyone is wearing. dce wrote: For some reason the organisers built the stage so that LC and the band were looking straight into the baking afternoon sun; hence the plentiful sunglasses and the sheen of sweat everyone is wearing. My guess is that it had something to do with "the lie of the land". If the stage was at the top of the slope facing east, all the audience would have been craning their necks looking up at the performers for the complete show. Also, if you remember, they brought LC and UHTC on 10 minutes earlier than advertised. I reckon that they did that so that the sun was crossing the horizon during interval, thus reducing the occular discomfort for Leonard and the band. In the second part of the show and during the encores there were no sun glare problems. Thanks Dean for that great photo. You must have had a wonderful view of the stage! 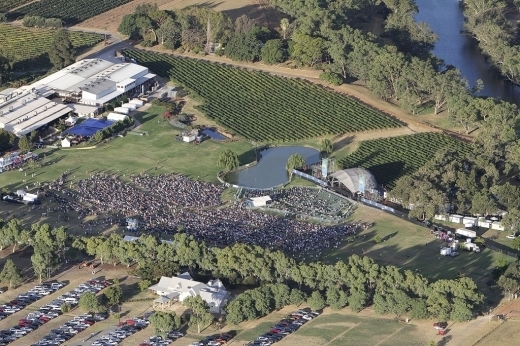 I still can’t find a good audience photo of Sandalford Wines, Swan Valley WA in 2009 but here’s an aerial concert view of the place and a couple of photos Greg took of LC and the band. It’s interesting to note that in the last one they are also wearing sunglasses here as well! Leonard ... here is a challenge for you! You have a huge following in New Zealand and definitely in Christchurch. Most entertainers are avoiding us since the earthquake .. please come and see us again. What better way to liven the souls of our people here. A home cooked meal will be thrown in! Seriously, do you have plans for a tour to New Zealand? That's a wonderful pic Roman, I hadn't seen it before! Here's a couple more Aussie "audience" ones with a different outlook. I love these photos - the feeling of expectation and what the solitary figure of LC could be thinking! There's no one watching but we are still waiting. ....and LC in the Aussie bush framed between two gum trees!